If there's anything we know for sure in this crazy world, it's that cops will do anything for a donut, right? Well, it turns out, that stereotype doesn't hold up, and particularly not when it involves being offered donuts from someone they're about to arrest in exchange for turning a blind eye. 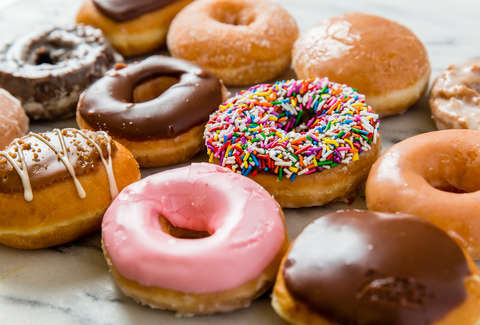 That's a lesson one Maryland man learned the hard way last week after allegedly trying to bribe some officers with Krispy Kreme donuts in hopes that they'd let him go. After he was allegedly spotted snooping into parked cars late one night last week, 25-year-old Matthew Tyler Rosenberg was approached by police on suspicion that he and a pal were intending to break into the vehicles. The confrontation reportedly became physical, with the cops subduing him on the ground after he attempted to walk away. Then they searched his person, and found both an air pistol and small bag of weed, according to reports. That's when Rosenberg hatched his brilliant plan, telling the officers he was a Krispy Kreme employee and promising to give them free donuts if they'd let him "just go home." They demurred, but that didn't dissuade him, because he allegedly made the offer to multiple officers repeatedly. Not to spoil the ending, but the bribe offers didn't work, and Rosenberg was taken to jail, charged with resisting arrest and attempting to bribe a public employee. He has since been released, on the condition he appear in court. Also, it's tough to imagine why free Krispy Kreme donuts would have been that enticing anyway, considering you can get a dozen of 'em on Friday for just $1.